Stacy Sutton has been successfully teaching and training both horses and riders for 30 years, as well as competing for many years in the disciplines of Dressage and Eventing. 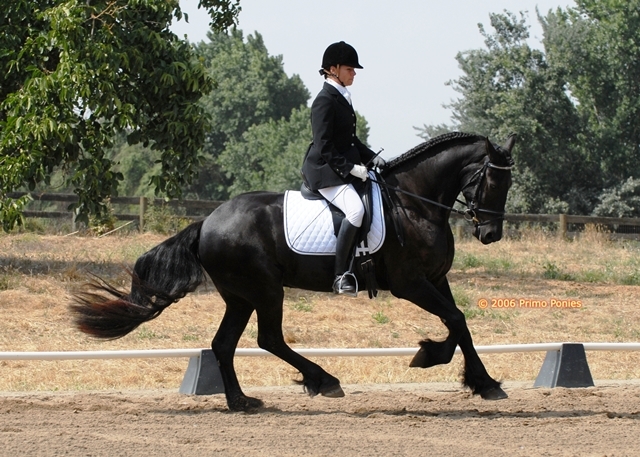 Stacy now focuses primarily on the art of Dressage, and also has interest in Western Dressage, and promoting the Gypsy Vanner Performance Horse. Stacy is an active member of the United States Equestrian Federation, the United States Dressage Federation, the California Dressage Society, the Western Dressage Association of America, and the Western Dressage Association of California Affiliate. Stacy has attended instructor's seminars since 1995 and has had the opportunity to ride with Dressage professionals such as Tracy Lert, Leslie Webb, Ursula Laikos, Christiane Noelting, Sharon Schneidman, Heidi Chote, Anne Howard, Erica Posely, Rachel Savaadra, Paula Lacy, Alfredo Hernandez, Elizabeth Hendrix and Laura Blanton. Stacy peruses her continued education with lessons, specialized riding clinics, and training and instructors seminars annually. Drawing from her years of experience with quality trainers and instructors, as well as human and equine physical therapists, Stacy Sutton has a unique ability to address each horse and rider's individual conformation and body type. These skills provide students with personalized tools to develop a classical and effective seat, thus enhancing the communication between each horse and rider. Stacy provides an informative and systematic teaching style that breaks down in detail the mechanics of the rider's position in the saddle, and she can spot seemingly minor errors that can ultimately make a tremendous difference in the responsiveness of the horse. Stacy also provides safe, hands-on lunge lessons so that each rider may concentrate on their body positioning in the saddle and not have to "worry about the horse". Many riders can use this experience to improve themselves and use these fundamentals to progress faster with the training and development of their horse. Although Stacy primarily instructs Dressage riders and Gypsy horse owners, she also offers lessons and clinics to Eventing, Hunter and Jumper, Western and Western Dressage riders, English Pleasure enthusiasts, and even Gaited Horse Dressage riders, as what she teaches applies to all forms of correct riding and equitation. Stacy Sutton is available by appointment for Organized Riding Clinics, Coaching Clients at Horse Shows, Riding Clients Horses at Horse Shows, Private Lunge Lessons and Horse and Rider Evaluations. 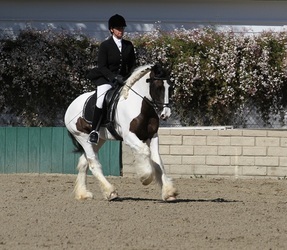 Stacy also offers training programs, sales services, and promotion of the Gypsy Horse. She is the founder and past president of The California Gypsy Horse Club and currently sits on the board for the California Dressage Society's Valley Oaks Chapter, and is on the WDAA CA. Affiliate/Northern CA committee. Stacy is the current founder and President of the Gypsy Magic Equine Outreach Program. 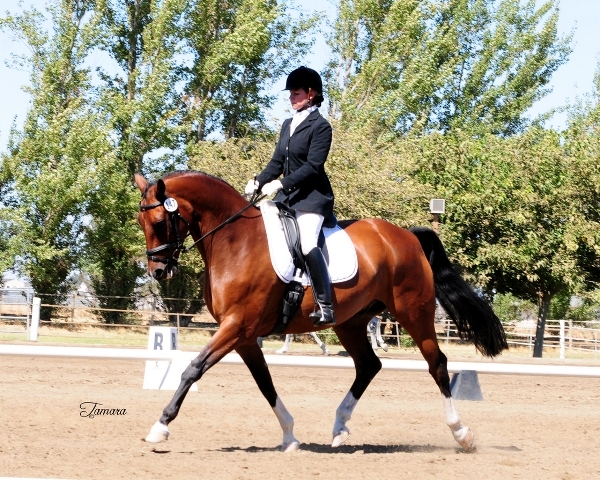 Stacy Sutton has owned and operated two successful Dressage Training Facilities. She constructed and operated Apex Farm in Wilton, CA. for 15 years. In 2008, Stacy and her husband David Rude owned and operated Oak Creek Farm in the Sierra Foothills region of Placerville, California for 4 years. Both farms housed 15 to 20 horses and offered dressage training, boarding, clinics, and schooling Dressage shows. 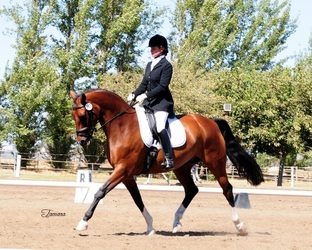 Stacy now operates Vineyard Oak Dressage Training in Sloughouse, CA. The Vineyard Oak Dressage Training team offers the horses in training a wonderful facility and exceptional boarding care so that owners have peace of mind that their horses are receiving the very best of care. Stacy strives to provide an environment where horses can live happily and train confidently in the sport of dressage and Western Dressage. Stacy uses a methodical and consistent training system that promotes a solid development foundation for each horse. This proven training system facilitates a successful harmonious bond between the horse and it's rider. 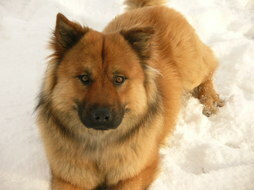 We place great importance that the horses in our care are happy and content. It is very important to us that each horse's physical and mental needs are met. We take special consideration in looking at the "whole horse" to ensure happy and well-adjusted equine friends. We take care to not rush or push our horses beyond what they are capable. Many horses can carry past physical problems and/or weaknesses that go on unnoticed until they reach a point that a problem arises which can lead to an undesirable behavior or reaction. We use a variety of rehabilitative and strengthening training methods, and may also use specialized physical therapy services when needed in order to maintain optimal physical health and performance. Our feeding program is designed to balance the specialized nutritional needs for each individual, keeping in mind the horse's natural foraging habits. With the mental training and discipline of dressage, there is also plenty of time everyday for each horse to be at liberty in the large pastures as well as enjoy quiet trail rides in our scenic rolling terrain.